Whether you’re building web pages, mobile apps, or desktop apps, you need to learn HTML5 and CSS3. So why wait? Hello! 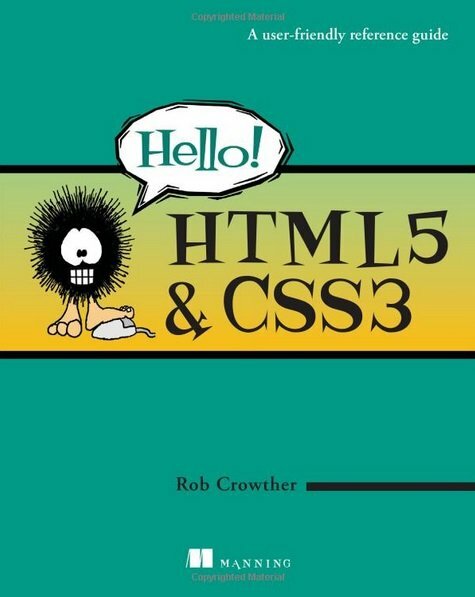 HTML5 & CSS3 is a smart, snappy, and fun way to get started now. In this example-rich guide to HTML5 and CSS3, you’ll start with a user-friendly introduction to HTML5 markup and then take a quick tour through forms, graphics, drag-and-drop, multimedia, and more. Next, you’ll explore CSS3, including new features like drop shadows, borders, colors, gradients, and backgrounds. Every step of the way, you’ll find hands-on examples, both large and small, to help you learn by doing.